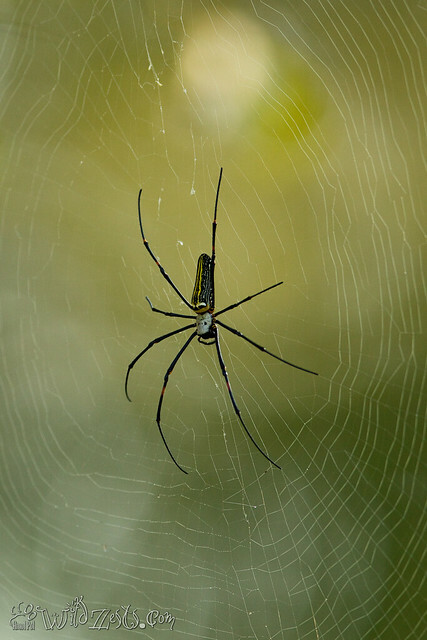 The Kabini jungle was abundant with the wood spider creations this time. The morning rays of the sun make the web look really glamorous. The female is actually the one that is a giant size (3 inches or more) while the males are tiny at about 1/10th her size. Their webs are quite big in size and can vary between 1-2 meters in diameter, spun between trees.